Thanks to brilliant author Claire Contreras we have an ebook giveaway. 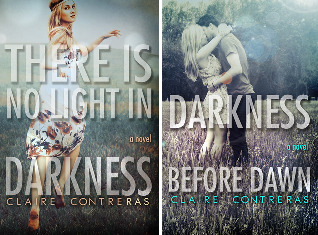 2 winners will win one of Claire's ebooks and they get to choose between There is No Light in Darkness or Darkness Before Dawn! Winners will be drawn by randon.org.